All Students can See Letters and Science Advisors 1117 Cheadle Hall! Transfer Students can also See Advisors in the Transfer Student Center (1st Floor LIbrary, Oceanside)! For Cheadle Hall advising, Wait Online, Not in Line!!! Join the queue anytime during drop-in hours by texting "Letters and Science Advising" to 805 585-5821. For advising in the Transfer Student Center, just head to the Library, 1st floor, Oceanside. Sign ups for drop-in advising stop at 11:30 and 3:30. If you have questions related to your major, please see your major department advisor. IMPORTANT: Advisors will not choose your courses for you, they cannot put you into classes; nor can they help you get into full classes. If a course is closed, please use GOLD to get on the waitlist. Click here to learn about how the waitlist works. You can also attempt to crash a class by going to the first day of lecture. While advisors can't put you into a closed course or get you on the waitlist, if you are having difficulties with your course schedule they can assist you. An advisor will respond to your message almost always within 72 hours (it may take longer after long weekends or holidays). You can also send appeals, petitions, etc., to this address. Please include your perm number in your message. You can call us at (805) 893-2038, but please know students who who come to our office have first priority. If you don't get through to an advising associate, you may want to consider coming to Cheadle Hall or sending an email. For more information on how our office works with students, check out our Welcome to Advising video. Also, Honors, pre-health, pre-law, and international student advisors are available in 1117 Cheadle. Dr. Stephen Blain is available to advise junior and senior pre-health students on an appointment basis: please come to Cheadle Hall or call (805) 893-2038 to schedule a meeting with Dr. Blain. If you cannot come in for drop in advising or have a complicated situation, you can schedule an in-person or phone appointment by calling (805) 893-2038. You can also go online to schedule an appointment at https://appts.apps.duels.ucsb.edu. Appointment slots are 30 minutes long. 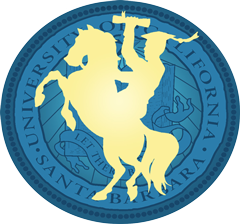 Academic advisors help students achieve their goals by sharing knowledge and also by partnering with students to analyze their options at UCSB and beyond. We aim to be an indispensable resource to connect students with great opportunities and the many sources of support at UCSB that are essential for student success. The most successful advising experiences are built on relationships in which the student and advisor work together in mutual responsiveness and commitment. To build these relationships we encourage students to pursue regular conversations with our advisors. We also invite students to explore the many online resources that are available. These online materials provide important information regarding requirements as well as programs and opportunities which can greatly enhance the undergraduate experience. Exploring the online resources can also help students get even more from their meetings with advisors.